After years of development, AT&T is discontinuing what it now calls Mobile DVR on March 4. While some of the enthusiast forums are all abuzz and angry about this move, my guess is that most people didn’t even know the feature existed. Before we say goodbye, let’s talk about how we got here. In the beginning there was Nomad. This little box was originally called Nomad. It was developed about a decade ago to help people take their recorded programming with them. The idea was that it would download programs from your DVR, sample them to a manageable size, and put them on your iPhone. You can read the original review I did while working at another site here. Nomad was problematic because it could take ten hours or more to downsample a movie. Then, it could take another half hour to transfer that movie to your phone. While it was the sort of thing you could do overnight, it wasn’t a good fit for everyone. The next generation, renamed to GenieGO, added more speed and more features. In our initial review, we talked about increased speed and the ability to stream programs from your home network. You could set up programs to “Prepare-N-Go” meaning that it could still take several hours to get a movie ready to stream, but it would happen in the background and you could even set something like series links so that commonly watched shows were always ready. The technology that had originally gone into the GenieGO box was added, via software, to Genie DVRs. You can read our 2016 review here. However, there were still some concerns. 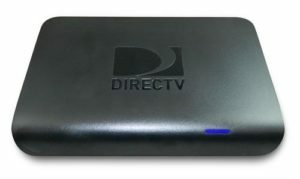 Mobile DVR content was always standard-def quality, whether it was transferred to your device or streamed from home. Some people found that when they wanted a program, they didn’t get the one from home. Instead they got the on-demand version from AT&T servers. The picture quality was great, but they lost the ability to skip commercials in some cases. 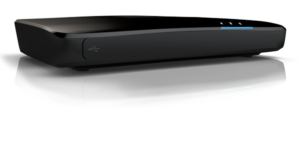 Rumors started circulating a few weeks ago that new releases of the Genie software would no longer allow Mobile DVR. A few people at enthusiast forums started to scream, but the overall impression seemed to be, “meh.” And so, on March 4, the service will be discontinued. There are a few things you’ll want to know, though. You can still download programs to your mobile device. That technology isn’t going away, and while the programs will still be SD quality, they’ll be available even if you don’t have cell service or don’t want to use a data plan. You can still schedule programs from the app. That technology isn’t being affected. You can still watch a lot of live TV and a lot of on demand programs. While a few live channels will be lost as part of this transition, you’ll still be able to stream over 120 channels live including many locals. That list of locals will vary by market, but it’s still going to be a good number and expected to increase. Plus, you’ll still have AT&T’s library of over 60,000 programs including a lot of shows that have just aired. Because they come from AT&T servers, you might be stuck with commercials, but the quality should be noticeably better than it was with GenieGO. Are you one of those who will really miss Mobile DVR? Or did you just learn from this article that it even existed? Leave a comment below!